Benefits of using stainless steel for tube fabrication include the ease of cleaning, low maintenance and long run cost-effectiveness. Even though stainless steel may require a higher initial cost than other metals, maintenance and replacement costs are lower. In addition, stainless tubing is less expensive than titanium, which is a metal with similar properties and applications. Mainly used in the medical industry, stainless tubing is used is referred to as hypodermic tubing, and is the medium for transferring medicine from a bottle to under the skin and into the bloodstream. Stainless steel is used because its smooth and crack-free surface is very easy to sterilize. Stainless tubing is also used in a variety of applications in the dental, automotive, petrochemical, papermaking, and semiconductor industries, to name a few. While stainless tubing is usually round, square types are often manufactured to make stepladders, display racks and bar foot railings. Stainless tubing is constructed through welding or seamless tubing procedures. Welding involves roll forming stainless steel and connecting the formed portions along a seam through fusion. Seamless tubing, in comparison, involves the creation of stainless steel tubing through piercing a round blank. In general, welding achieves a higher degree of precision without secondary operations. The degree of precision required, however, depends on the industrial application of the tubing. Another method of fabricating stainless tubing is through extrusion. Perhaps the most easily available type is the seamless stainless steel pipe or tube, which is formed by extrusion. In extrusion, a solid billet is drawn over a piercing rod, which creates a hollow shell without any seams, unlike welding, where seams are unavoidable. Seamless tubing and piping is the most reliable when it comes to retaining high amounts of pressure, as it is much less likely to split. The use of stainless steel in the production of tubing is widespread due to the advantageous properties of stainless steel. 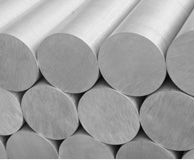 Stainless steel is the most common material used in the manufacturing of tubing, providing excellent corrosion resistance and little required maintenance and cleaning. Stainless tubing is also cost-effective in the long run. Even though stainless steel may require a higher initial cost than other metals, maintenance and replacement costs are lower. Stainless Tubing Another term for stainless steel tubing, stainless tubes are hollow, cylindrical objects used as equipment components or as the medium through which fluids pass.